Mr. and Mrs. Charles King of Chaffee celebrated their 70th wedding anniversary with a gathering for family and friends at King’s Inn, Lime Lake. 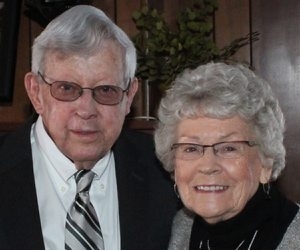 Mr. King and Fay Armstrong were married March 18, 1944, in United Methodist Church, Sardinia. He is retired from the farming business. She is a retired bookkeeper. They have six children, 15 grandchildren and 17 great-grandchildren.